The Bournemouth Beach Lodges offer an enchanting overnight stay overlooking beautiful beaches at any time of the year but especially in the spring and summer. Two years after the inauguration of the original site, the team will be welcoming guests to the new Lodges during the first weekend of April. Built to the same high design spec as the 2017 originals, the bright airy Lodges are located only a few steps away from the soft sand and lapping waves and offer contemporary accommodation for up to four adults and two children. Each Lodge features its own extensively equipped kitchen, toilet, private decking, shower room and WiFi. Furniture is light and modular with clever storage solutions, while the colour palette both inside and out is light and warm – dove greys, powder blues and olive greens. 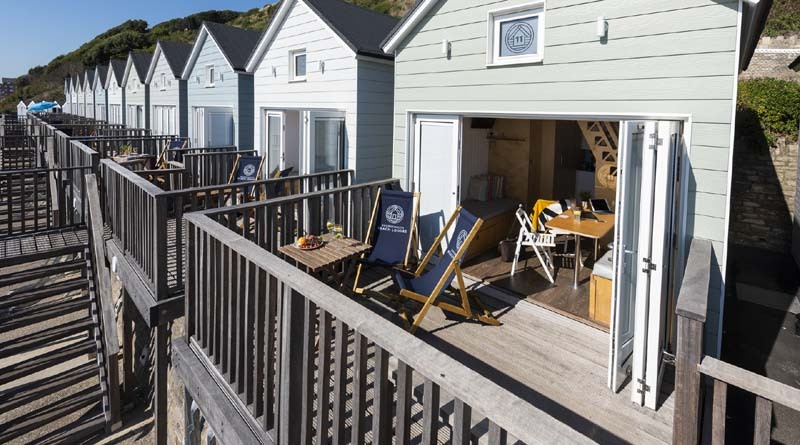 The Bournemouth Beach Lodges are a perfect mix of home comforts and holiday treats wrapped up in a unique seaside space with stunning uninterrupted sea views.